Perfume 24 Carat Pure Gold Eau de Parfum by Lattafa Perfumes is an oriental perfume with a classic combination of Oudh, roses and vanilla. Nevertheless, the perfume stands out from the crowd because it succeeds in skillfully combining soft tones with dark, dominant fragrances. The top note opens with oudh, saffron and cinnamon and is relatively strong. Roses and sandalwood in the heart note give the fragrance more softness. The base has a full, creamy-harsh and smoky finish with musk, leather, vanilla, amber and incense. 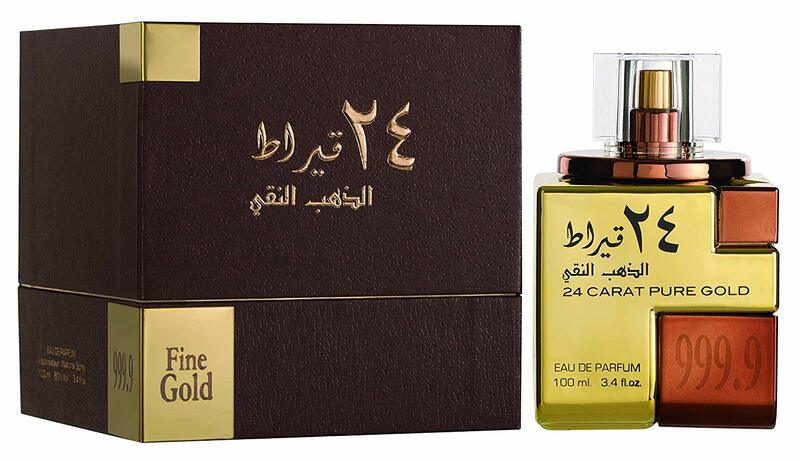 24 Carat Pure Gold is not a light fragrance, but a powerful Arabic Attar perfume that stands out for its long shelf life. Although it is excellent as unisex perfume, we would rather attribute it to the male side. The perfume is ideal for leisure or evening.